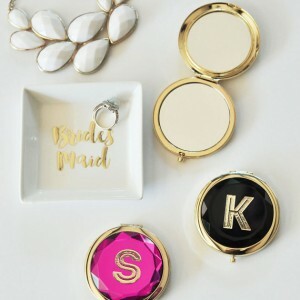 Made to order, these monogram tumblers are fun and fashionable! 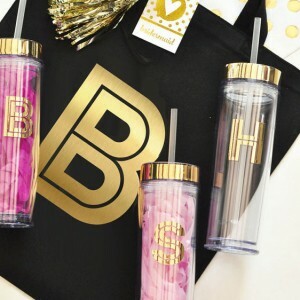 The product includes 1 clear acrylic water bottle personalized with a monogram in Gold Foil Vinyl. Matching straw and lid included. Shipping costs $8.00 within the US and takes 3-5 days. 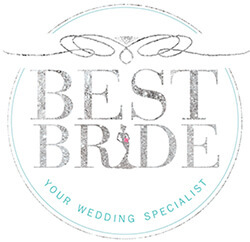 Please email us at shop@bestbride.la with your order information to choose the letter for the monogram.